Pastor Deborah Demps has prayerfully lead this flock for the last 19 years. Shes carried and bore the burden of POP in prayer, intercession, personal sacrifice and diligent service. While birthing this ministry with our Late Founder, she lovingly raised and nurtured their two sons and graciously raised over 30 foster children. In the early days of POP our present day ministries of The Neighborhood Food Bank and POP Clothing bank began from the resources of her closet, kitchen and wallet. 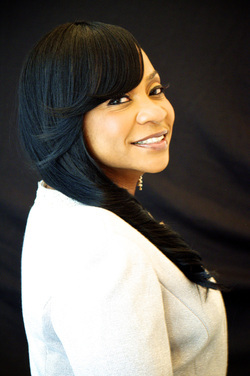 Pastor Demps is a woman of God who teaches the power of prayer and intercession. She is a woman who is given to the Word of God, sensitive to the Voice of God, and obedient to the Instruction of God. Her seasoned wisdom and knowledge equips her while her love and obedience to God propels her to raise and guide our ministry to be filled with men and women of God who are yielded to the guidance of His Holy Spirit and ready to win a world for God’s Kingdom. Our Pastor Deborah Demps was born in Valdosta, Georgia on November 28, 1957 to Bartow, Sr. and Mary Frances Williams. Coming from a large family of 6 sisters and 4 brothers she learned very early in life how to be a giver. She also learned the values of being thankful and appreciative of all the things God has given. She grew up in a God fearing home where she watched God elevate her parents from lay members to Senior Pastors. Little did she know God was also preparing her for the things that were to come. Throughout most of her early childhood years Pastor Deborah Demps suffered from a misdiagnosed bone complications. She learned the value of perseverance despite the circumstances. Though pain overtaking her body constantly she put faith into practice knowing God is a very present help. At the age of nineteen Pastor lost her Mother. It surpassed any pain she had ever felt. This pain pierced her very heart. She was a loving mother who had instilled the determination and will that helped shape Deborah into the woman she had become. Through prayer and perseverance she applied the teachings of her parents and refused to allow yet another circumstance to defeat her. In 1979 she moved to Seattle where she married Our Late Founder William B. Demps, Sr. This union produced two children. Realizing that God had richly blessed them Deborah realized that we are blessed to bless others. She began opening up her home to foster children with as many as eight children in her home at one time. She put into action the ancient proverb "It takes a village to raise a child." Pastor Demps is a diligent worker. Anyone who knows her realizes if there is a task to do, while you're contemplating the next move she has nearly completed the task. She truly has a servants heart and a humble spirit. Perhaps the most challenging thing to do is the get her to sit down for a moment and relax. Her loving and caring spirit is unparalleled. She is the virtuous woman of Proverbs 31:10-31.